Trenton Knight, Phillip Van Dyke,and Giuseppe Andrews wear black and maroon high top Converse “Chuck Taylor” All Stars in the film. Josh Griffin wonders what will happen to his mom when she accidentally drinks his dad’s invisibilty formula. As Invisible Mom begins, preteen Josh Griffin (Trenton Knight) is facing two typical situations for adolescent boys, an awkward crush on a girl named Debbie (uncredited) and dealing with an older kid, Johnny Thomas (Giuseppe Andrews), who bullies him and wants to date Debbie himself. When Josh and his best friend Skeeter (Philip Van Dyke) meet up with Debbie and her friend on the street, Josh doesn’t stand up for himself after Johnny and two of his friends show up and humiliate them in front of the girls. When Josh comes home with a bloodied nose, Laura Livingston (Dee Wallace Stone), Josh’s stay at home mom, passes on the message that he must stand up for himself if the cause is just: “If you’re in the wrong, back down — but if you’re right, stand up for yourself.” As the saying goes, the apple doesn’t fall far from the tree. Josh’s father Karl (Barry Livingston) has the same problem at work. Karl is a gifted scientist and inventor but is unwilling to stand up to Dr. Whoorter (Russ Tamblyn), his boss at Applied Technologies. Whoorter bullies Karl for being a slacker and then takes credit for all of his work, selling it to the military for huge profits. 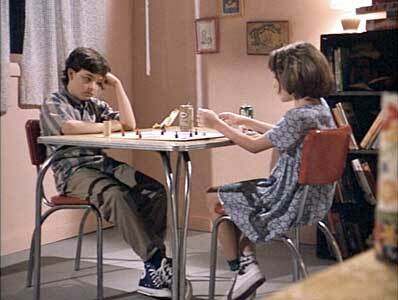 Laura eventually convinces Karl to invent something at home, in his basement lab. Then Dr. Whoorter will not be able to claim that it belongs to the company. 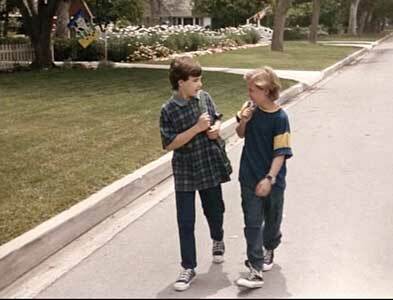 Josh and his friend Skeeter walk home from school. Now things are getting pretty desperate at the Livingston house. Laura is still invisible, Karl is out of a job, and Josh can’t see his mom or his dog. There is one funny scene. When Johnny Thomas, who is the local paperboy in addition to being a bully, comes to collect for the paper, Josh has to answer the door. When Johnny brags about how he is going to take Debbie out to the movies instead of Josh, Laura realizes that Johnny is the bully who has been tormenting her son. She comes up and forces Johnny to slap himself around. Josh plays along saying that he has learned telekinetic powers. Eventually Johnny freaks out and runs away. With his newly found self-assertion, Josh tells his father that they need to go back to Applied Technologies and use their facilities one last time to figure out the antidote for his invisibility potion. The next day, a Saturday when the company is closed, they go to the lab and are able to get inside and get started, telling security that they have permission to clean out Karl’s desk. Eventually security calls Dr. Whoorter, who comes and has Karl taken to a mental hospital and Josh sent off to an orphanage despite Karl pleading that he is trying to find the antidote because his wife is invisible. Whoorter now sees this as his chance to get a hold of the invisibility formula and have an actual living human specimen to show to the military authorities. But Dr. Whoorter hasn’t recokoned with the very angry and determined Invisible Mom. The balance of the film is straightening all of this mess out and righting the wrongs that have been done. Josh and his father go to try and made an antidote for the invisibility formula at Applied Technologies. The main problem with Invisible Mom is that it seems set in the wrong decade, and the story line gets more and more unreasonable as the film progresses. This film and its sequel were attempts to cash in on the success of the Honey, I Shrunk the Kids series of films, with a similar type of formula. The film was made in 1995, yet most of the plot elements are very 1950s in construction and attitude. It also lacks focus. At first the story concentrates on Josh and the other kids his age. Then we completely lose track of the other kids midway through the story as it becomes a story about Dr. Whoorter’s power grab and the injustices he inflicts on the Livingston family. It suffers from too many cliched characters that also chip away at its credibility. Laura Livingston is characterized like a mom from a 1950 situation comedy, stay at home, dressed to the teeth, in a spotless home. Her son is by normal standards a very nice and well-behaved kid, yet he is micromanaged by his mom and grounded because his bed was found unmade. Karl Livingston is the stereotypical scientist, a namby-pamby milquetoast in personality but capable of incredible inventions. Bully Johnny Thomas tells everyone that Josh’s father is an unsuccessful, crazy scientist doing Frankenstein-like things while they are standing in front of the Livingston’s expensive single family home on a huge lot, yet he is their paperboy! Dr. Whoorter is the mean martinet, stealing Karl’s work and then having him institutionalized instead of keeping him around to do more. There is the nosy, mean neighbor lady (with a husband who totally ignores her) with nothing better to do than spy on the Livingstons and complain. All kinds of events happen that violate basic civil rights, or promote the wrong kinds of actions, not a good message for kids. In addition to these negative and stereotypical messages there is a lot of misinformation being presented to the film’s basic audience of kids. The writers and producers of Invisible Mom should take the blame for putting out a film with so much needless misinformation in it. But if you check your brain at the door, there is some good entertainment at times. 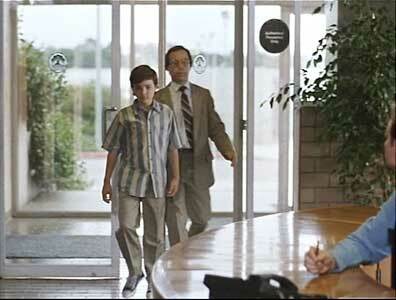 Josh is brought to an orphanage when his dad is taken to a mental hospital. 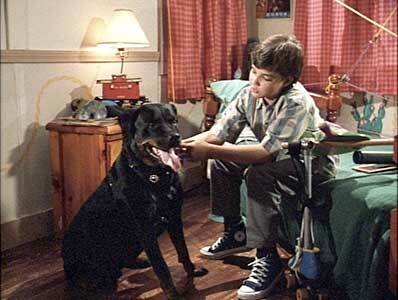 Josh is relieved when he discovers that his dog Cosmo isn’t invisible anymore..
Josh (Trenton Knight) and his best friend Skeeter, played by Philip Van Dyke wear black high top chucks throughout the film. 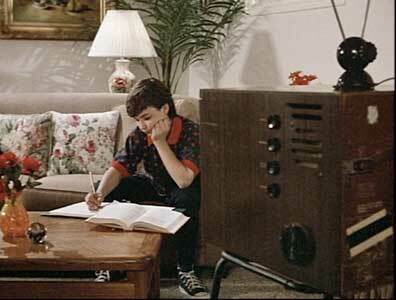 Johnny Thomas, the bully who torments Josh and Skeeter, played by Giuseppe Andrews wears maroon high tops in the one scene where you can see them. The camera is fairly chucks friendly in the scenes where they appear, and those scenes with Josh and Skeeter are one of the cooler things about the film. 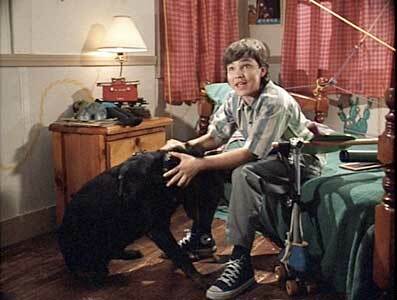 The best chucks scene is at the end, when Josh is moping in his room and he discovers that his dog, Cosmo, is now visible again. Josh realizes that his mom will soon reappear.